What trends do you think will shape the future of UK plastics? How will Verus Metrology Partners respond? I believe the current trends of automation and big data are going to be the greatest challenge for the UK plastics industry and particularly with respect to dimensional metrology and validation. The challenges of just in time delivery, require moulders to hold less and less component batches. To facilitate this the traditional quality departments, will have to embrace automation and this change will come with significant challenges, not only for metrology engineers and quality departments, but for the traditional manufacturers of co-ordinate measuring machines and vision system. Automation has existed within the main manufacturing production lines for many years – but the traditional quality departments and metrology function has remained virtually untouched. Many still conduct manual measurements on shadow graphs and micrometres and only utilise a fraction of the capability of Co-ordinate measuring machines and vision systems. However, using the full capacity and capability of a metrology machine and by employing a strategy which includes bespoke fixtures and programmes combined with automated fixture movements, will only bring the plastics industry up to the “now”. The traditional co-ordinate measuring machine has been in existence virtually unchanged for decades. I believe this technology has reached its developmental apex. New disruptive technologies and systems, including automation must be developed to gradually replace this technology, so that the quality departments batch metrology and inspection workloads can keep up with the demands of rapid manufacturing and big data. How has Verus Metrology Partners developed during your tenure? 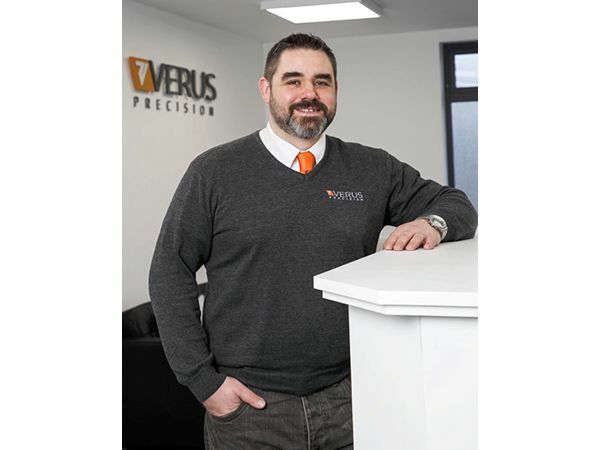 Over the past 11 years, Verus has grown from 3 staff members to 22, trained and skilled team members. The company has evolved from an independent single service provider of Metrology, Moldflow analysis and Project Management, to a holistic turn- key partner of Dimensional Metrology Solutions to our clients. I believe this re-focus of our brand values and business strategy was fundamental in supporting the rapid growth and success of the company. Furthermore, I emphasise that our clients are the focus of everything we do, and we live and breathe bespoke turn-key metrology solutions. It’s has been the single biggest change the company has gone through and the global profiles and value of our client base and networks are the evidence of its success. 1) Education. No matter what area of the company you work in, I believe you should never stop learning. New ideas and new experiences are the life blood of any company. Fostering a culture of personal development, training and responsibility at all levels and areas of a company and embracing this way of leading an organisation is I feel a primary key to success. 2) A Skilled Team. Successful recruitment and the commitment of a competent skilled workforce is essential. Verus is very lucky to have a committed highly skilled and educated team who are empowered to work together and engage in innovation and encouraged to bring forward new ideas in the delivery of a high-quality service to our clients. I believe a highly skilled and committed team can never be taken for granted and investment in team development is essential. 3) Working Directors. The company directors, including myself, work as part of the Verus team. We get out of the suit, following Board meetings and work alongside the team, we rarely wear suits at all if we can help it. The directors continue to work and maintain their practical competence in measurement and metrology. This strategy ensures we have our finger on the pulse of the company, we are up to date on technology changes, we interact with clients daily which gives us a deep understanding of their needs and challenges and working as an integral team we can troubleshoot and solve any problems as they arise. For me, learning that entrepreneurs are not always the best business leaders. If you choose to truly make the transition to become a business leader, then you need to become self-aware and you need to recognise the great in others. To do this you should train and educate yourself, just like when I went through my 4-year tool-making apprenticeship, I needed to learn how to be a leader and to hone that craft. The biggest part of this process is knowing that it never stays the same, you will change, your leadership skills will evolve and change, just like the company, environment and the people that work within it. The challenges you will face every day will also change and you will need to adapt and change with it. I recognised that I needed support to enable this transition, so I embarked on a three-year master’s programme in Leadership and Innovation in UCD Smurfit business school while this was a challenge, the experience allowed me to reflect on the essential skills and competencies needed to be the best leader I could be, while at the same time be part of the team. I can’t think of anything, except be your best self. You need the challenges, mistakes, success and failures of your career and your life in order to become who you choose to become. I believe everyone is responsible for their own path in their careers and I also believe that no matter where you are in a company you should pursue excellence, embrace change and look to master your craft. I am an avid PC strategy Gamer and strong believer in the benefits of computer gaming to develop problem solving and multitasking skills. I also love painting Table top gaming miniatures, not sure if I’m talented though – shout out to all the team in Games Workshop, Nottingham, whoop whoop, roll the dice.